Trish qualified from the Queen Elizabeth School of Physiotherapy in 1984. Since then she has worked in a variety of health care roles both in the NHS and private hospitals, sports clubs including Horsham Rugby Club and, since 1997 her own private practice. Trish has a special interest in orthopaedics, including joint replacement rehabilitation, and sports injuries in adults and children. 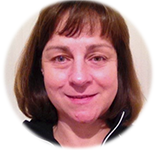 Trish is a Member of the Chartered Society of Physiotherapy, Physio First (organisation of physiotherapists in private practice), and Member of ACPSM (physiotherapists in Sports medicine). Rosie graduated from Pinderfields College of Physiotherapy in 1992. Since completing her training she has gained experience in both NHS and private settings treating musculoskeletal conditions and has a special interest in Sports Injury and Prevention. Rosie undertook specialist post graduate training in 2000 in Vestibular Rehabilitation at Southampton University enabling assessment and treatment of Balance Disorders including BPPV. 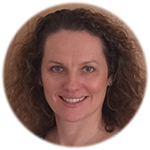 Rosie is a Member of the Chartered Society of Physiotherapy, Physio First (organisation of physiotherapists in private practice), and Member of AACP (Acupuncture association of chartered physiotherapists). 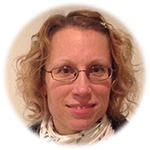 Sarah qualified in 2001 as a chartered physiotherapist. She practised as a senior physiotherapist in two of London's top teaching hospitals, covering the full range of musculoskeletal conditions and injuries. After assessing and diagnosing patients, Sarah can offer a range of treatments and/or rehabilitation, including manual therapy, electro therapy, exercise-based rehabilitation and injury prevention advice. As a former professional dancer and a member of Dance UK, Sarah is also a dance physiotherapy expert. She is currently physiotherapist at the Legat School of Dance in East Sussex, where she assesses, diagnoses, treats and rehabilitates dancers. Sarah also screens dancers for injury prevention and performance enhancement, designing personal exercise programmes specific to the dancer. Sarah is also an experienced pregnancy physiotherapist, treating any musculoskeletal pain related to pregnancy, from back pain and sciatica through to symphysis pubic dysfunction. Sarah is a clinical Pilates instructor and can tailor exercises for clients both individually or in small classes.